New Delhi: Amid continuous Parliament disruption, Prime Minister Narendra Modi on Wednesday lamented the stalling of the Rajya Sabha, saying what happens in the Lok Sabha need not be followed in the Upper House. The Prime Minister's remarks came during his farewell speech to the retiring members of the Rajya Sabha. "There are very few in the House who have not been associated with ideology of any party. Most members here are from ideological background. So, it is quite natural that they try to establish their viewpoint in the House. But we also have expectations that it is not necessary that whatever happens in the (Lok Sabha) must be followed in the (Rajya Sabha)," he said. PM Modi said the Upper House, with senior members, had a "unique significance" and played a key role in policy formulation. The Prime Minister said it was unfortunate that the retiring members would not be a part of the decision making process when the Triple Talaq bill is taken up. "Triple Talaq bill is going to play an important role in the country's history. It would have been better if you would had contributed in such an important decision." "My own office is always open to you all. 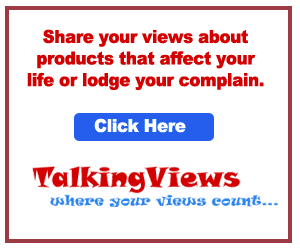 Please feel free to share your thoughts on vital issues," he said. In his speech, the Prime Minister mentioned the distinguished work of many of the retiring members including former Attorney General K. Parasaran, cricketer Sachin Tendulkar, hockey veteran Dilip Tirky and Deputy Chairman P.J. Kurien.